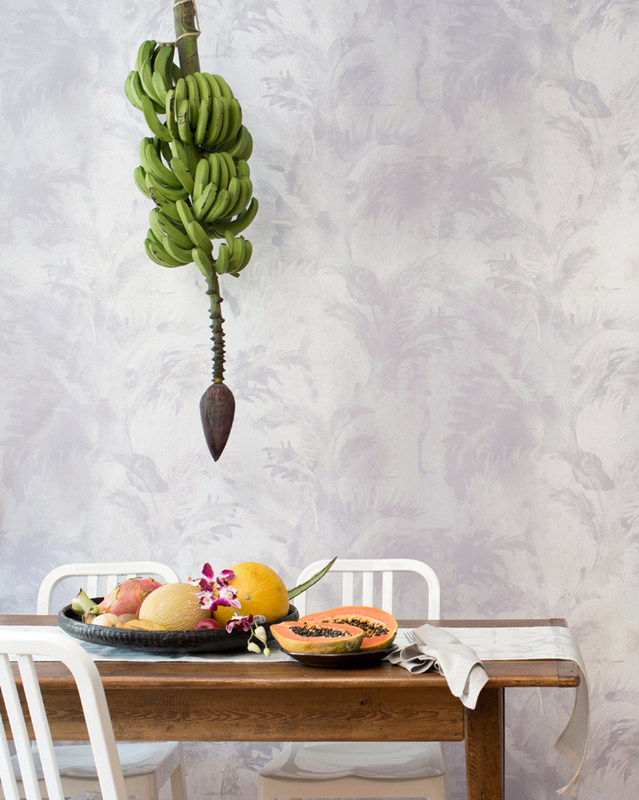 Today is the first day of Spring and we are celebrating with a tropical feast for your eyes and your space. 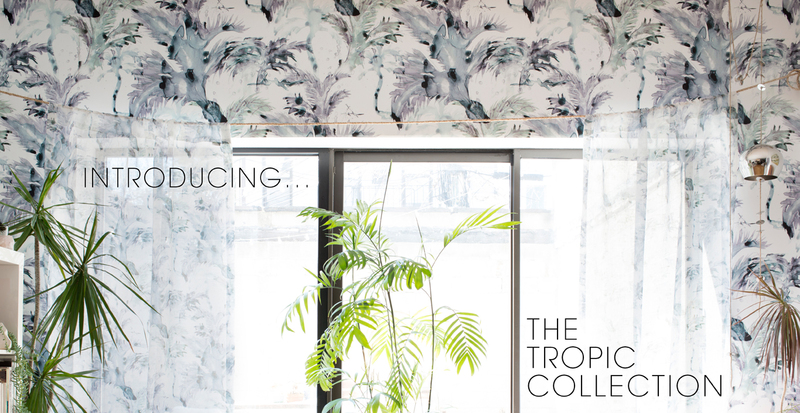 The new Tropic collection features lush colorways and intricate patterns inspired by broad leaf palms and the wildlife found on the shores of remote islands we visited in Panama and Belize, and the epic coastal cliffs of southern Nicaragua. 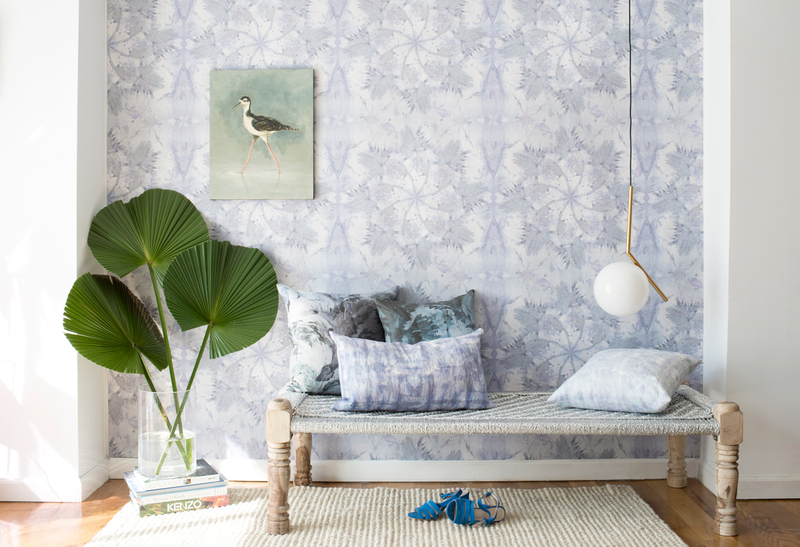 The collection includes four uniquely Eskayel takes on the wallpaper and textile traditions of toile, large scale palm leaves, medallions, and Shibori. 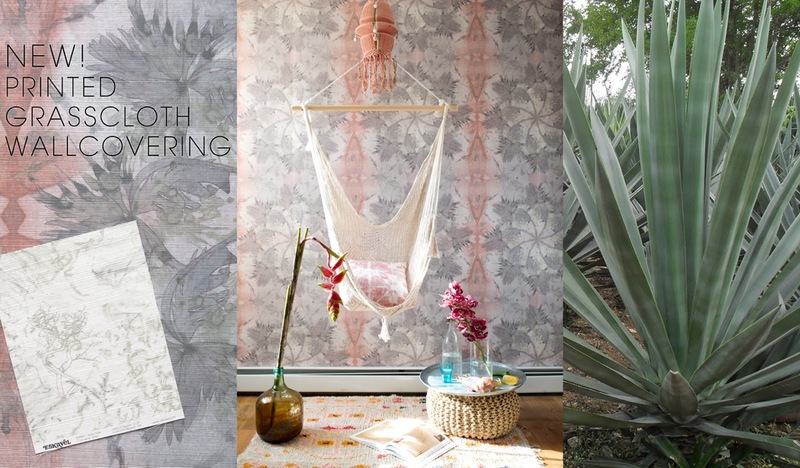 In addition to our standard wallpaper and natural fabrics, all of these new patterns are also available printed on GRASSCLOTH!!. Pillows and poufs of various sizes from this collection can be a quick and easy way to refresh a room for spring! 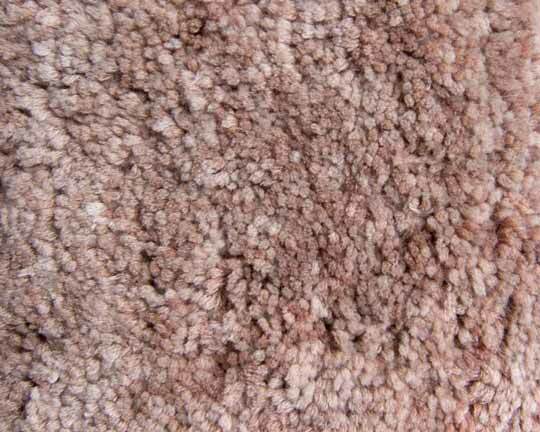 And we are excited to share a sneak peak of our new rugs with you here! 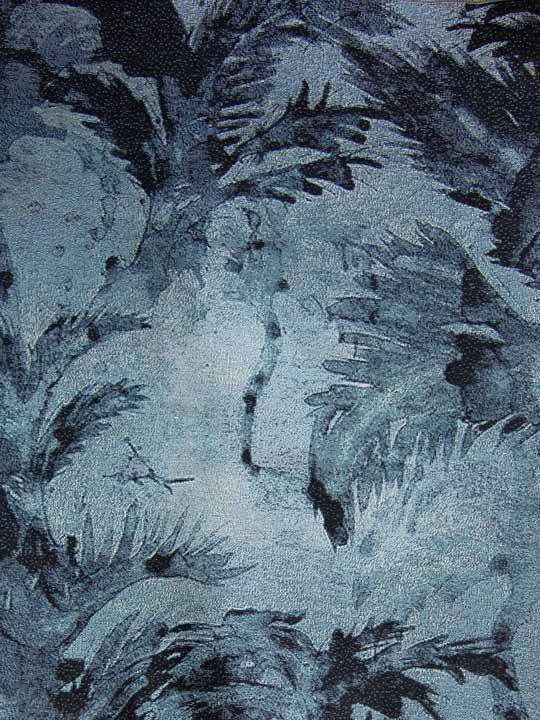 Please visit our updated Environment and Giving pages to learn more about the earth friendly materials our products are made of and the organizations we support who are working to protect our beautiful planet – the source of our inspiration.